Often if you run a large event it's helpful to have a system to collate event helpers and volunteeers. 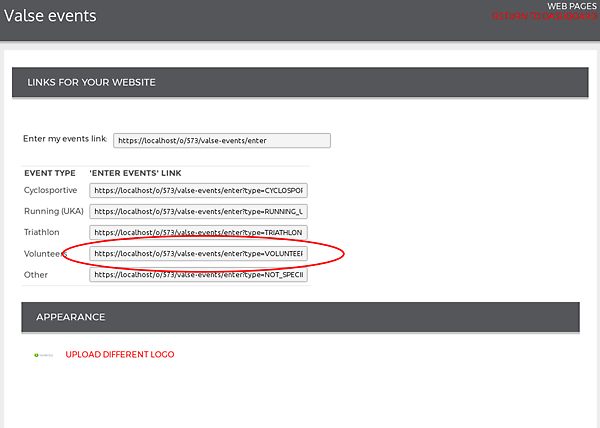 A simple way of doing this is to create a separate event which helpers can sign up for (and perhaps indicate what kind of help they can offer). We've added a special 'volunteers' event type for these events. You can use all the normal event features, but volunteer events won't show up in the calendar or event search. Incidentally, if you have several volunteer events you might also want to create a 'group' for all your regular helpers, so you can keep in touch with them over and above helping out at a particular event (you can link this to your 'volunteer' event entries so people join the group when they volunteer for the first time). Get in touch if you need any help with this.